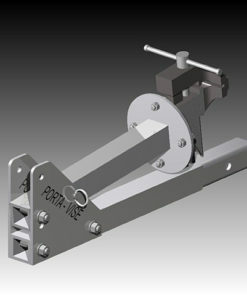 The complete Porta-Vise Kit which includes the Porta-Vise, top cap, two pins, vise and fasteners for Vise. 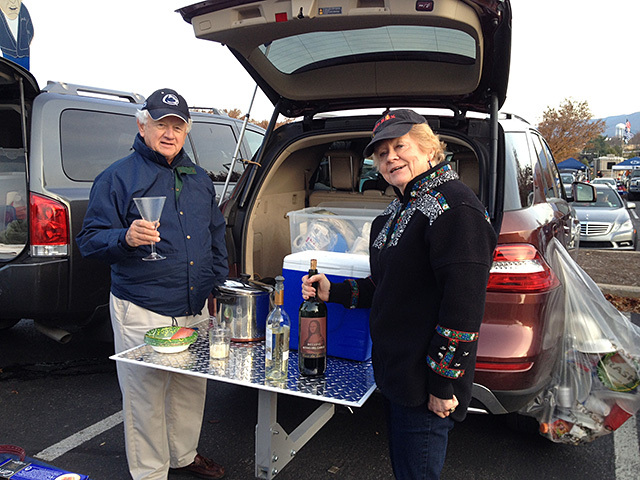 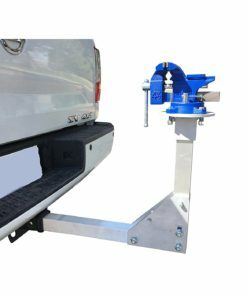 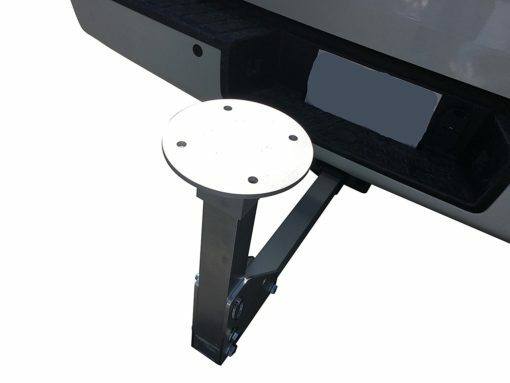 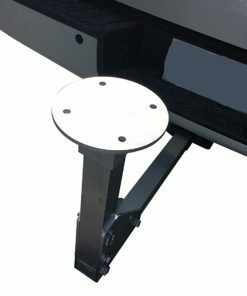 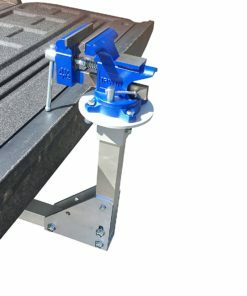 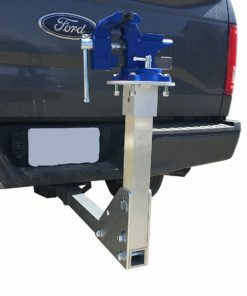 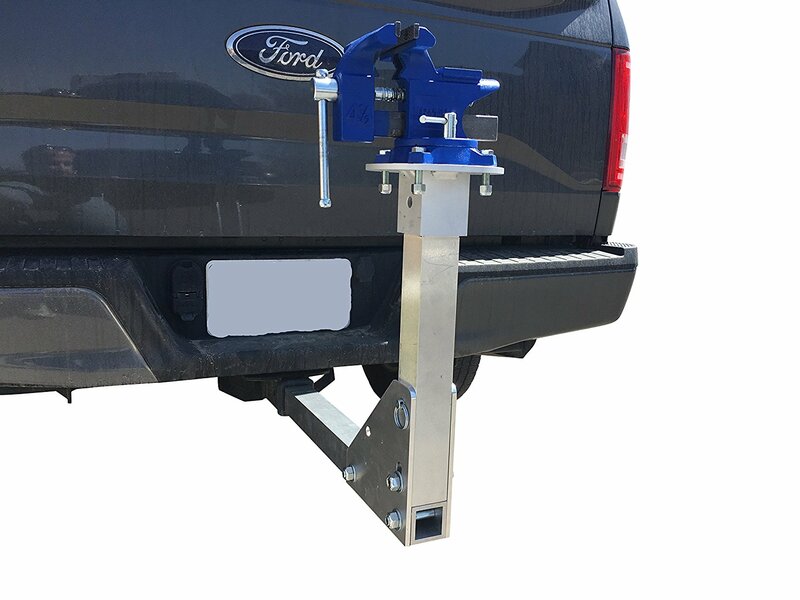 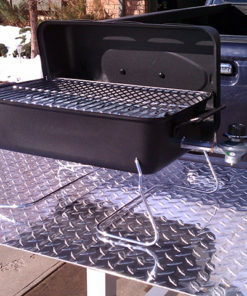 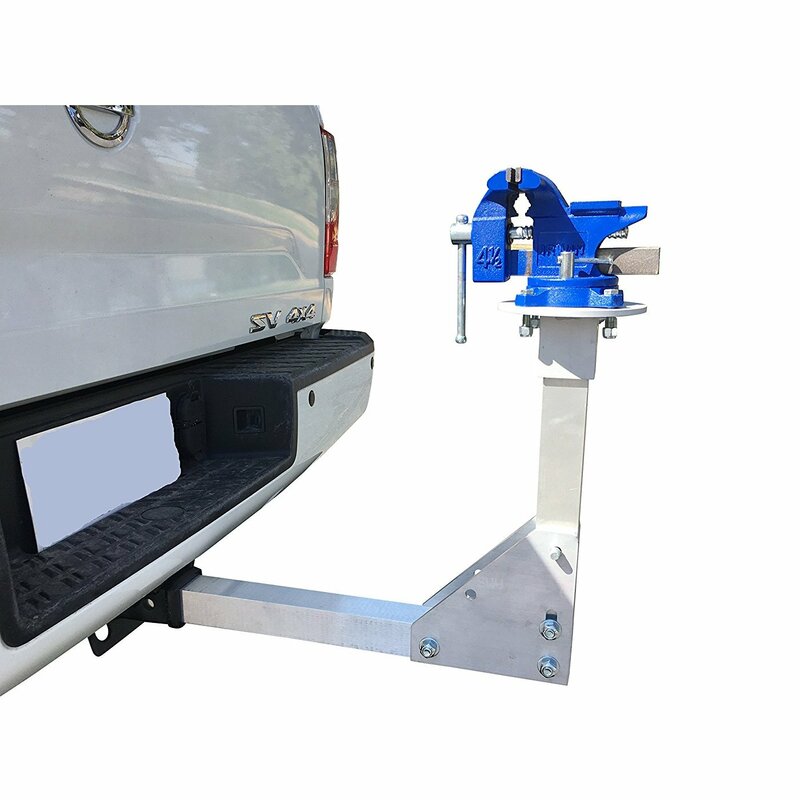 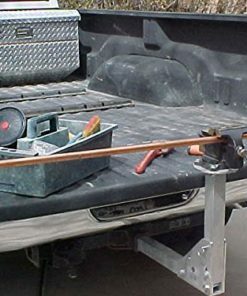 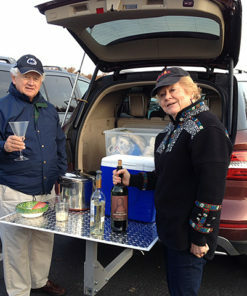 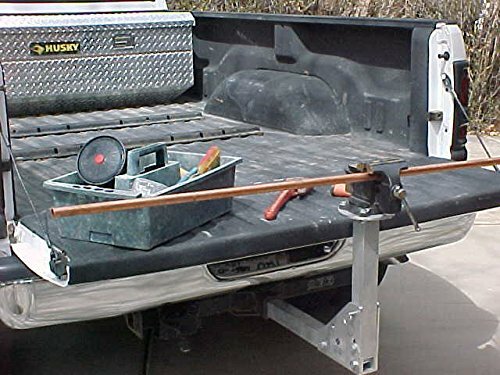 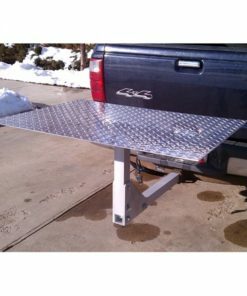 Easily attached to any 2 inch receiver hitch on any piece of equipment, including vehicles. 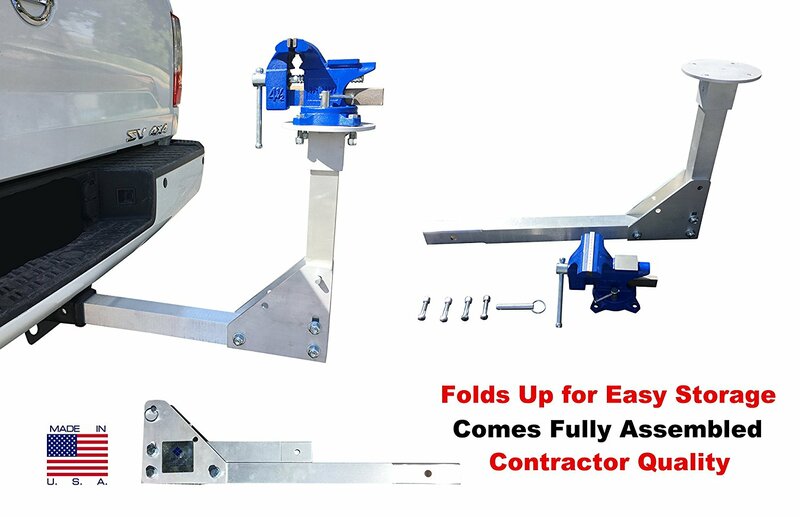 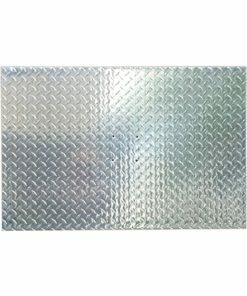 Folds compactly so as not to take up valuable room in crowded utility vans, RV’s, workshops, and pickups. 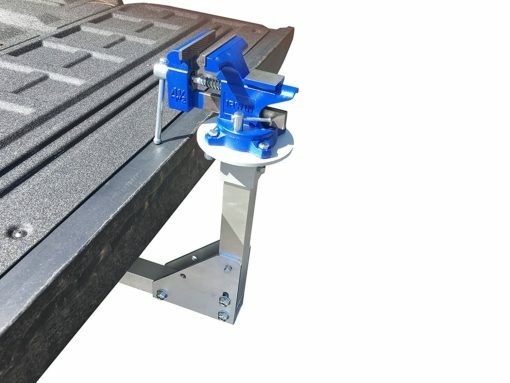 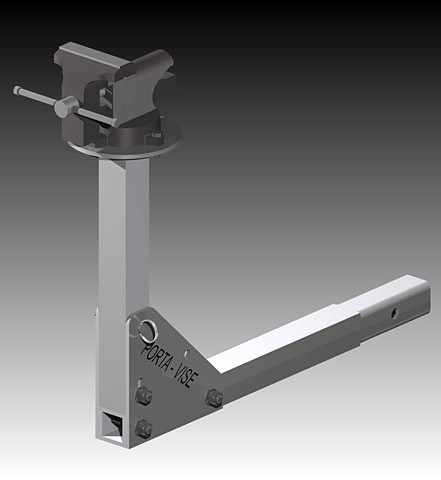 Holds work pieces just as securely as a conventional Vise. 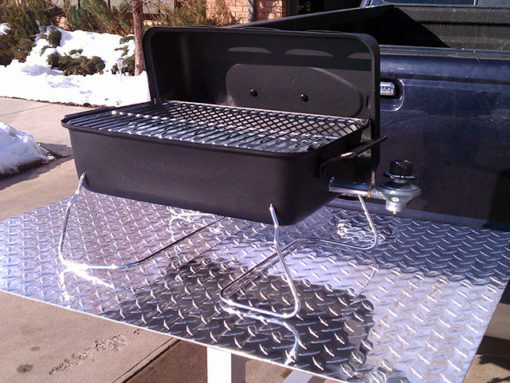 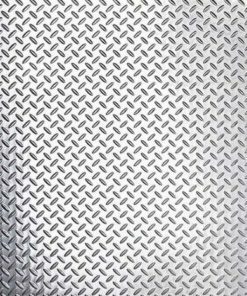 Lightweight, durable, and completely portable. 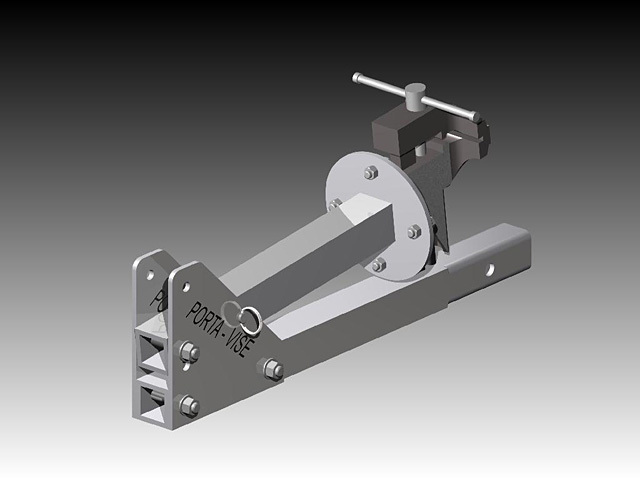 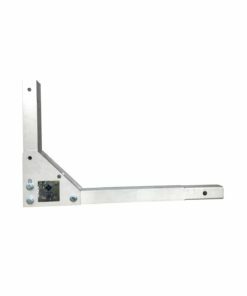 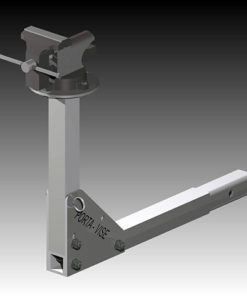 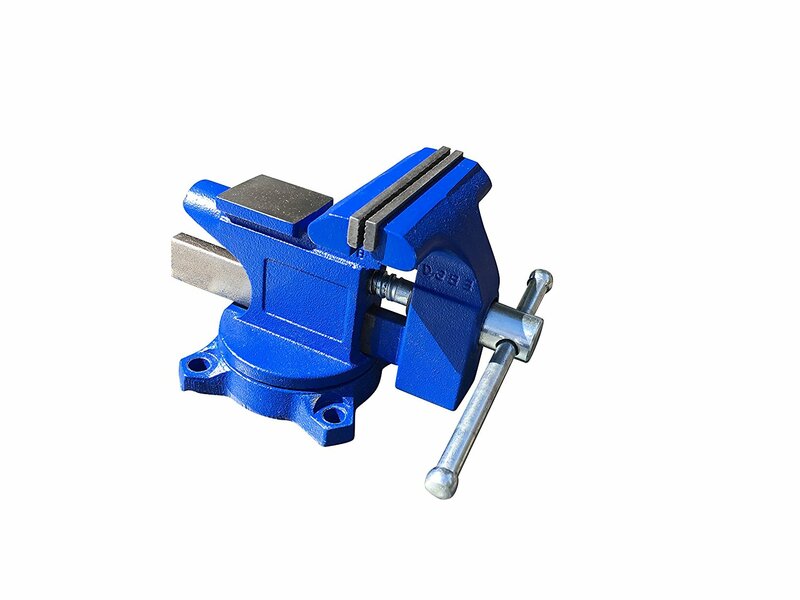 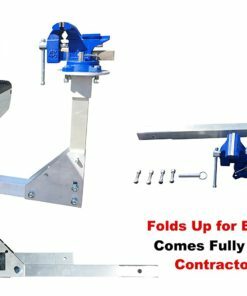 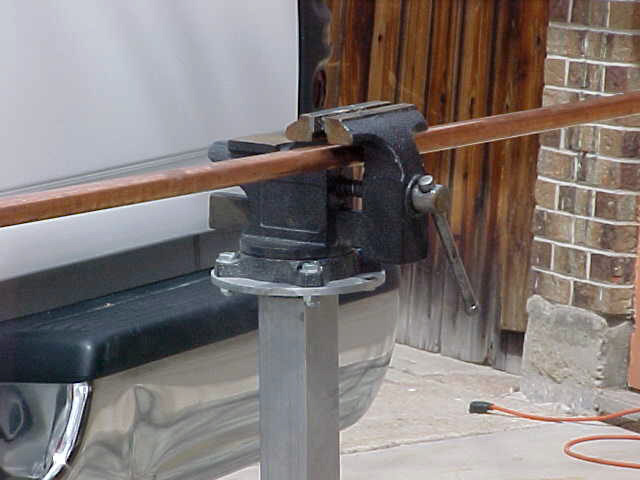 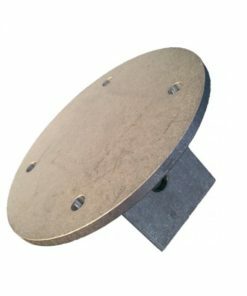 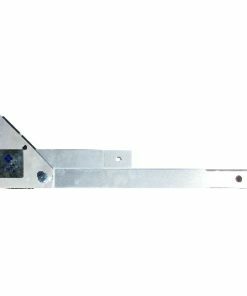 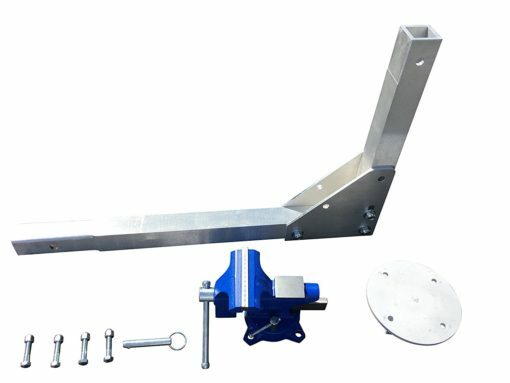 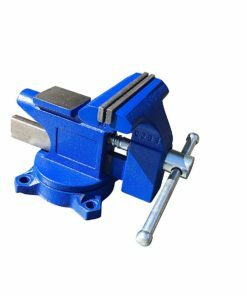 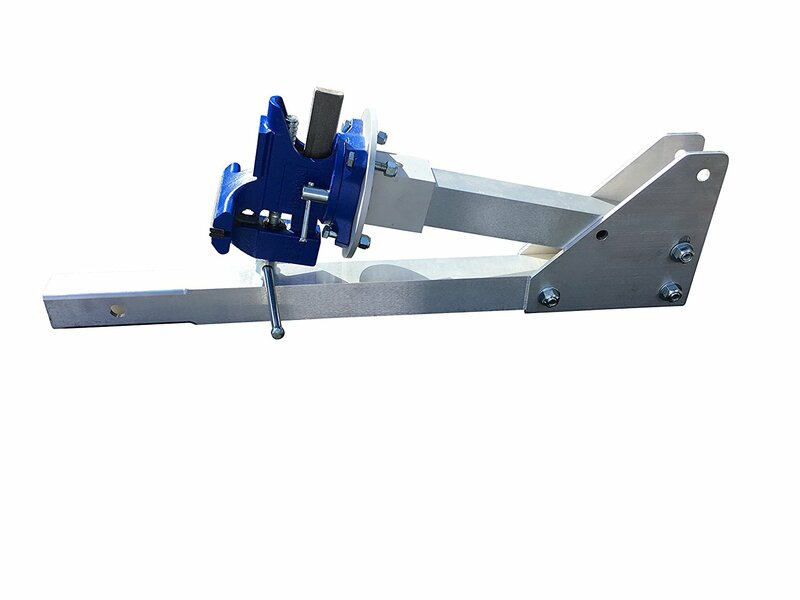 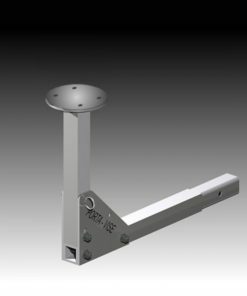 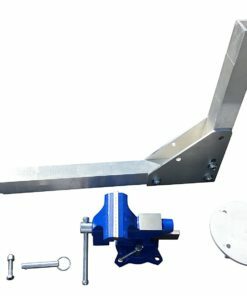 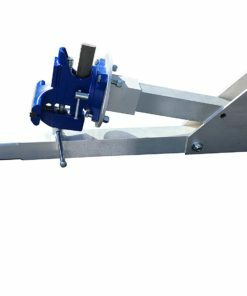 Vise and bracket attachment consists of 2 parts, 4 1/2 ” vise and folding ‘L’ shaped bracket. 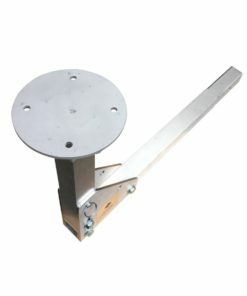 Hole drilled near end of extension accepts hitch pin for assembly and use. 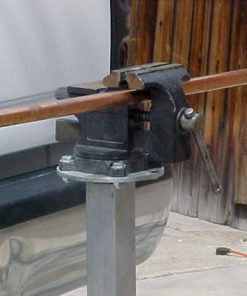 Vise is attached to vise-mounting surface by 4 bolts.